IQS Directory provides a comprehensive list of small stainless steel tank manufacturers and suppliers. Use our website to review and source top small stainless steel tank manufacturers with roll over ads and detailed product descriptions. Find small stainless steel tank companies that can design, engineer, and manufacture small stainless steel tanks to your company's specifications. Then contact the small stainless steel tank companies through our quick and easy request for quote form. Website links, company profile, locations, phone, product videos and product information is provided for each company. Access customer reviews and keep up to date with product news articles. Whether you are looking for manufacturers of food grade tanks, stainless steel vats, stainless steel silos, or customized small stainless steel tanks of every type, this is the resource for you. For 50 years G & F Manufacturing has been a leading stainless steel tank manufacturer for many industries, including pharmaceutical, food & beverage. Their small and large storage containers offer quality workmanship & durability. Custom vessels are also available, simply contact us with the necessary specifications. At Buckeye Fabricating, we specialize in the design and manufacture of high-quality, small stainless steel pressure vessels and stainless steel tanks for a wide range of applications. Family owned and operated, we operate at a highly efficient level and with a service oriented mindset. Our small stainless steel products are designed to ASME and DOT/UN code, and we offer custom fabrication as well. Tank containers, sometimes also called drums, are a type of container specifically used to store or transport many different types of substances, including gases, liquids, solids and powders. Tanks can be made from a variety of different materials, but one of the materials used most commonly to manufacture tanks is stainless steel. Stainless steel tanks are popular because stainless steel offers so many advantages. Stainless steel is, for example, extremely corrosion resistant, moisture resistant, heat resistant, wear resistance and impact resistant. In addition, it is very durable and quite ductile and formable. Stainless steel tanks can be customized and built to order, fitting the needs of applications with any size or volume requirements. Beyond stainless steel tanks, small stainless steel tanks are exceptionally popular for use within the industrial and commercial worlds. 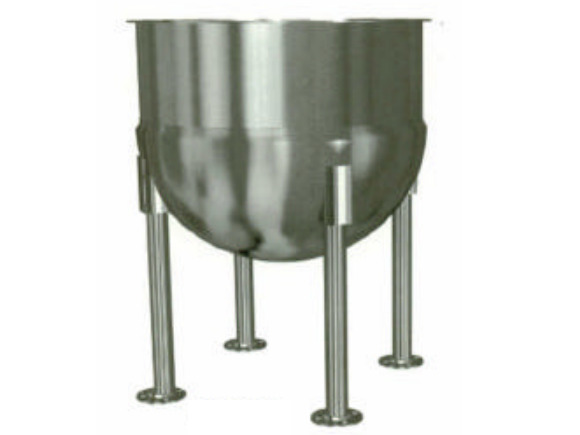 Highly effective for use with both small and large scale projects, small stainless steel tanks are more often used in storage related applications than transportation related ones. Because they are so durable and resistant to corrosive materials, they can successfully store anything from water to harsh chemicals. Typically, small stainless steel tanks are constructed in a thin-walled, cylindrical or drum-like shape using some grade of stainless steel. There is not just one type of stainless steel. Rather, the term “stainless steel” refers to a whole group of chromium-based steel alloys, all of which are at least 10.5% chromium. Other than that, and the fact that they are also mostly iron ore, stainless steel types may be partially made up of various different materials, such as aluminum, carbon, nickel, molybdenum and/or silicon. For that reason, small stainless steel tanks can be made from many different types of stainless steel, all of which offer different strengths and weaknesses. Stainless steels can be divided into groups of austenitic grades, ferritic grades and martensitic grades. The steels in each grade exhibit different qualities. First, austenitic stainless steels are non-magnetic and equally useful in corrosive, harsh and mild work environments. Second, ferritic grade stainless steels, unlike austenitic stainless steel, are not heat treatable but are magnetic. They are heat and corrosion resistance, especially in the face of seawater, and they are also resistant corrosion-related stress cracking. While ferritic stainless steels are not as strong as austenitic stainless steel, they are more aesthetically pleasing. Finally, martensitic stainless steels are the hardest of all the stainless steels and can be heat treated via tempering or quenching. Nevertheless, they are not as resistant to corrosion as the other two grades. Of these, austenitic stainless steels are the most appropriate for the fabrication of small stainless steel tanks. When a customer is going through the process of securing one or more stainless steel tanks for her or his application, a manufacturer will closely study the specifications of the application to determine what stainless steel grade will best complement and support it. Applications that thrive with the help of small stainless steel tanks include: grain storage, water storage, water treatment, chemical plants, paper plants, petrochemical plants and petroleum refineries, power stations and general process plants. In addition, small stainless steel tanks are highly useful for use in industries such as: agriculture, energy, military and defense, resins and plastic polymers, environmental impact and plumbing. In all of the above cases, small stainless steel tanks serve companies especially well with limited storage space. They can be customized to fit wherever there is room, and while they cannot store as large of a volume of material as larger tanks, the benefits of small storage tanks typically outweigh this drawback. As it was noted earlier, small stainless steel tanks are most often used as storage containers. Nevertheless, they can also be used to transport substances. If and when this is the case, it is important that the tanks be manufactured to meet the shipping and receiving standards set forth by the International Organization for Standardization (ISO). In doing so, tank owners can be sure that their containers are suitable for different forms of transportation around the world. To find out more, interested parties should make sure to partner with a manufacturer that is able to supply them with ISO compliant small stainless steel tanks. It is evident by now that small stainless steel tanks are incredibly diverse containers and they can be constructed in all sorts of shapes, sizes, styles and types. With endless configuration possibilities, if you choose the right manufacturer for you, the sky is the limit. Get advice, insight and the best, most durable small stainless steel tanks by partnering with an experienced and knowledgeable tank manufacturer today. To guide you, we have provided a list of with steel tank manufacturers and suppliers with whom we manufacture near the top of this page. Find them listed with their respective profiles, contact information and website links and reach out to one or more of them to get started. 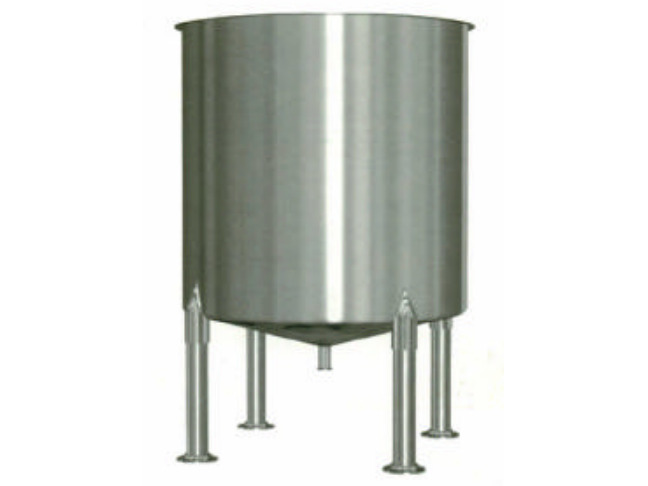 Small Stainless Steel Tanks - G & F Manufacturing Company, Inc.